It was her playful giggle that had left him wanting more. He would do things to make her laugh just so he could get that giggle out of her, to him, it was like angels singing. If you know Christine, you know what I mean. Kevin is a sweatshirt lovin’ kind of guy. Both originally from up north, they enjoy the cooler weather. 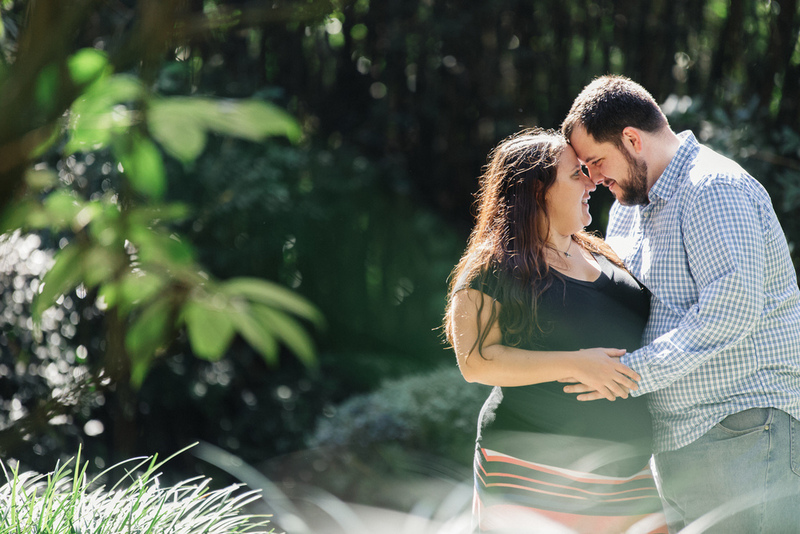 Luckily for us, we had the perfect weather for this outdoor engagement session at The Morikami Japanese Botanical Gardens. Christine and Kevin don’t take life too seriously and they always find the fun in everyday nuances, which is so important! Their easy going spirits make them delightful to be around. The world is full of so much negativity, but these two infuse their world with laughter and spontaneity. We started our session right as the park opened at 10am. And it was perfect because there was hardly anyone around. For the 45 mins we felt like we had the place all to ourselves! What a dream! The manicured gardens were just beautiful. I compared it to the gardens at Epcot lol! You know, they are always keep things so neat and tidy, everything is just “so”. This would be the perfect place to go for a day date! I would suggest getting there when the park opens at 10 am so you can have the place to yourselves! Or better yet, buy an annual pass and go whenever you want! There was SO much to look at, I even found inspiration for my home! My favorite thing about the gardens were the little tiny bonsai trees. I didn’t realize how unique they were, but apparently they are not the easiest to grow. A surprise to me was the sea grape bonsai, I’d didn’t realize that you could make a sea grape a bonsai. I guess anything can be a bonsai? lol! I’d love to try to grow one of these, has anyone tried it before? Is it difficult? Christine and Kevin, thank you SO much for making me LAUGH! I am so honored to have been chosen to photograph your love and also celebrate alongside you at your wedding in October. Keep on laughing, loving, and living!